For those who may wish to make or renew their consecration to Jesus through Mary as their slaves of love - if we start today, we can finish on May 13th, anniversary of Our Lady's apparition in Fatima, where She spoke of the necessity of devotion to the Immaculate Heart and heaven attested the power of Marian consecration. I'm going to share the standard prayers recommended for the Consecration taught by St. Montfort in this thread; please feel free to share your own prayers helpful to that end, or your own experience of making/renewing your own personal consecration to Our loving Lord and Lady. These prayers can also be used at any other time of the year. "Introduction of St. Louis-Marie: True Devotion to Mary. 2. Because Mary remained hidden during her life she is called by the Holy Spirit and the Church "Alma Mater", Mother hidden and unknown. So great was her humility that she desired nothing more upon earth than to remain unknown to herself and to others, and to be known only to God. 3. In answer to her prayers to remain hidden, poor and lowly, God was pleased to conceal her from nearly every other human creature in her conception, her birth, her life, her mysteries, her resurrection and assumption. Her own parents did not really know her; and the angels would often ask one another, "Who can she possibly be? ", for God had hidden her from them, or if he did reveal anything to them, it was nothing compared with what he withheld. 4. God the Father willed that she should perform no miracle during her life, at least no public one, although he had given her the power to do so. God the Son willed that she should speak very little although he had imparted his wisdom to her. 5. Mary is the supreme masterpiece of Almighty God and he has reserved the knowledge and possession of her for himself. She is the glorious Mother of God the Son who chose to humble and conceal her during her lifetime in order to foster her humility. He called her "Woman" as if she were a stranger, although in his heart he esteemed and loved her above all men and angels. Mary is the sealed fountain and the faithful spouse of the Holy Spirit where only he may enter. She is the sanctuary and resting-place of the Blessed Trinity where God dwells in greater and more divine splendour than anywhere else in the universe, not excluding his dwelling above the cherubim and seraphim. No creature, however pure, may enter there without being specially privileged. 6. I declare with the saints: Mary is the earthly paradise of Jesus Christ the new Adam, where he became man by the power of the Holy Spirit, in order to accomplish in her wonders beyond our understanding. She is the vast and divine world of God where unutterable marvels and beauties are to be found. She is the magnificence of the Almighty where he hid his only Son, as in his own bosom, and with him everything that is most excellent and precious. What great and hidden things the all- powerful God has done for this wonderful creature, as she herself had to confess in spite of her great humility, "The Almighty has done great things for me." The world does not know these things because it is incapable and unworthy of knowing them. "St. Montfort: True Devotion to Mary. 8. Every day, from one end of the earth to the other, in the highest heaven and in the lowest abyss, all things preach, all things proclaim the wondrous Virgin Mary. The nine choirs of angels, men and women of every age, rank and religion, both good and evil, even the very devils themselves are compelled by the force of truth, willingly or unwillingly, to call her blessed. 9. The whole world is filled with her glory, and this is especially true of Christian peoples, who have chosen her as guardian and protectress of kingdoms, provinces, dioceses, and towns. Many cathedrals are consecrated to God in her name. There is no church without an altar dedicated to her, no country or region without at least one of her miraculous images where all kinds of afflictions are cured and all sorts of benefits received. Many are the confraternities and associations honouring her as patron; many are the orders under her name and protection; many are the members of sodalities and religious of all congregations who voice her praises and make known her compassion. There is not a child who does not praise her by lisping a Hail Mary. There is scarcely a sinner, however hardened, who does not possess some spark of confidence in her. The very devils in hell, while fearing her, show her respect. 10. And yet in truth we must still say with the saints: De Maria numquam satis : We have still not praised, exalted, honoured, loved and served Mary adequately. She is worthy of even more praise, respect, love and service. 11. Moreover, we should repeat after the Holy Spirit, "All the glory of the king's daughter is within", meaning that all the external glory which heaven and earth vie with each other to give her is nothing compared to what she has received interiorly from her Creator, namely, a glory unknown to insignificant creatures like us, who cannot penetrate into the secrets of the king. If then, as is certain, the knowledge and the kingdom of Jesus Christ must come into the world, it can only be as a necessary consequence of the knowledge and reign of Mary. She who first gave him to the world will establish his kingdom in the world." "14. With the whole Church I acknowledge that Mary, being a mere creature fashioned by the hands of God is, compared to his infinite majesty, less than an atom, or rather is simply nothing, since he alone can say, "I am he who is". Consequently, this great Lord, who is ever independent and self-sufficient, never had and does not now have any absolute need of the Blessed Virgin for the accomplishment of his will and the manifestation of his glory. To do all things he has only to will them. 19. If we examine closely the remainder of the life of Jesus Christ, we see that he chose to begin his miracles through Mary. It was by her word that he sanctified Saint John the Baptist in the womb of his mother, Saint Elizabeth; no sooner had Mary spoken than John was sanctified. This was his first and greatest miracle of grace. At the wedding in Cana he changed water into wine at her humble prayer, and this was his first miracle in the order of nature. He began and continued his miracles through Mary and he will continue them through her until the end of time. 20. God the Holy Spirit, who does not produce any divine person, became fruitful through Mary whom he espoused. It was with her, in her and of her that he produced his masterpiece, God-made-man, and that he produces every day until the end of the world the members of the body of this adorable Head. For this reason the more he finds Mary his dear and inseparable spouse in a soul the more powerful and effective he becomes in producing Jesus Christ in that soul and that soul in Jesus Christ." Thanks be to You from Whom all things come, whenever it is well with me. In Your sight I am vanity and nothingness, a weak, unstable man. In what, therefore, can I glory, and how can I wish to be highly regarded? Is it because I am nothing? This, too, is utterly vain. Indeed, the greatest vanity is the evil plague of empty self-glory, because it draws one away from true glory and robs one of heavenly grace. For when a man is pleased with himself he displeases You, when he pants after human praise he is deprived of true virtue. But it is true glory and holy exultation to glory in You and not in self, to rejoice in Your name rather than in one's own virtue, and not to delight in any creature except for Your sake. Let Your name, not mine, be praised. Let Your work, not mine, be magnified. Let Your holy name be blessed, but let no human praise be given to me. You are my glory. You are the joy of my heart. In You I will glory and rejoice all the day, and for myself I will glory in nothing but my infirmities. "21. This does not mean that the Blessed Virgin confers on the Holy Spirit a fruitfulness which he does not already possess. Being God, he has the ability to produce just like the Father and the Son, although he does not use this power and so does not produce another divine person. But it does mean that the Holy Spirit chose to make use of our Blessed Lady, although he had no absolute need of her, in order to become actively fruitful in producing Jesus Christ and his members in her and by her. This is a mystery of grace unknown even to many of the most learned and spiritual of Christians. 22. The plan adopted by the three persons of the Blessed Trinity in the Incarnation, the first coming of Jesus Christ, is adhered to each day in an invisible manner throughout the Church and they will pursue it to the end of time until the last coming of Jesus Christ. 23. God the Father gathered all the waters together and called them the seas (maria). He gathered all his graces together and called them Mary (Maria). The great God has a treasury or storehouse full of riches in which he has enclosed all that is beautiful, resplendent, rare, and precious, even his own Son. This immense treasury is none other than Mary whom the saints call the "treasury of the Lord". From her fullness all men are made rich. 24. God the Son imparted to his mother all that he gained by his life and death, namely, his infinite merits and his eminent virtues. He made her the treasurer of all his Father had given him as heritage. Through her he applies his merits to his members and through her he transmits his virtues and distributes his graces. She is his mystical channel, his aqueduct, through which he causes his mercies to flow gently and abundantly. 25. God the Holy Spirit entrusted his wondrous gifts to Mary, his faithful spouse, and chose her as the dispenser of all he possesses, so that she distributes all his gifts and graces to whom she wills, as much as she wills, how she wills and when she wills. No heavenly gift is given to men which does not pass through her virginal hands. Such indeed is the will of God, who has decreed that we should have all things through Mary, so that, making herself poor and lowly,, and hiding herself in the depths of nothingness during her whole life, she might be enriched, exalted and honoured by almighty God. Such are the views of the Church and the early Fathers. 26. Were I speaking to the so-called intellectuals of today, I would prove at great length by quoting Latin texts taken from Scripture and the Fathers of the Church all that I am now stating so simply. I could also instance solid proofs which can be read in full in Fr. Poiré's book "The Triple Crown of the Blessed Virgin". But I am speaking mainly for the poor and simple who have more good will and faith than the common run of scholars. As they believe more simply and more meritoriously, let me merely state the truth to them quite plainly without bothering to quote Latin passages which they would not understand. Nevertheless, I shall quote some texts as they occur to my mind as I go along. 27. Since grace enhances our human nature and glory adds a still greater perfection to grace, it is certain that our Lord remains in heaven just as much the Son of Mary as he was on earth. Consequently he has retained the submissiveness and obedience of the most perfect of all children towards the best of all mothers." How strict and detached were the lives the holy hermits led in the desert! What long and grave temptations they suffered! How often were they beset by the enemy! What frequent and ardent prayers they offered to God! What rigorous fasts they observed! How great their zeal and their love for spiritual perfection! How brave the fight they waged to master their evil habits! What pure and straightforward purpose they showed toward God! By day they labored and by night they spent themselves in long prayers. Even at work they did not cease from mental prayer. They used all their time profitably; every hour seemed too short for serving God, and in the great sweetness of contemplation, they forgot even their bodily needs. They renounced all riches, dignities, honors, friends, and associates. They desired nothing of the world. They scarcely allowed themselves the necessities of life, and the service of the body, even when necessary, was irksome to them. They were poor in earthly things but rich in grace and virtue. "We must take care, however, not to consider this dependence as an abasement or imperfection in Jesus Christ. For Mary, infinitely inferior to her Son, who is God, does not command him in the same way as an earthly mother would command her child who is beneath her. Since she is completely transformed in God by that grace and glory which transforms all the saints in him, she does not ask or wish or do anything which is contrary to the eternal and changeless will of God. When therefore we read in the writings of Saint Bernard, Saint Bernardine, Saint Bonaventure, and others that all in heaven and on earth, even God himself, is subject to the Blessed Virgin, they mean that the authority which God was pleased to give her is so great that she seems to have the same power as God. Her prayers and requests are so powerful with him that he accepts them as commands in the sense that he never resists his dear mother's prayer because it is always humble and conformed to his will. Moses by the power of his prayer curbed God's anger against the Israelites so effectively that the infinitely great and merciful Lord was unable to withstand him and asked Moses to let him be angry and punish that rebellious people. 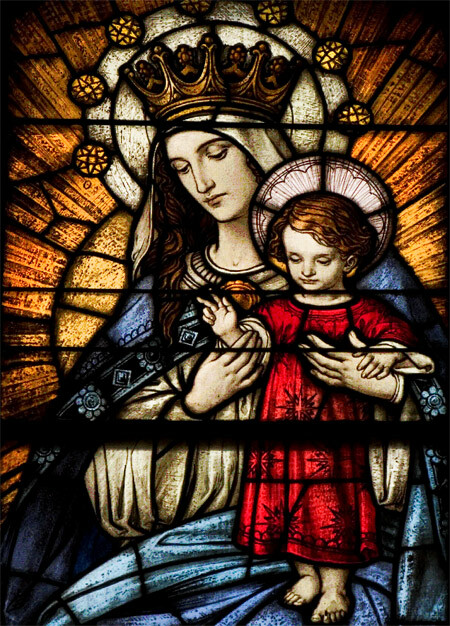 How much greater, then, will be the prayer of the humble Virgin Mary, worthy Mother of God, which is more powerful with the King of heaven than the prayers and intercession of all the angels and saints in heaven and on earth. 28. Mary has authority over the angels and the blessed in heaven. As a reward for her great humility, God gave her the power and the mission of assigning to saints the thrones made vacant by the apostate angels who fell away through pride. Such is the will of almighty God who exalts the humble, that the powers of heaven, earth and hell, willingly or unwillingly, must obey the commands of the humble Virgin Mary. For God has made her queen of heaven and earth, leader of his armies, keeper of his treasures, dispenser of his graces, worker of his wonders, restorer of the human race, mediatrix on behalf of men, destroyer of his enemies, and faithful associate in his great works and triumphs. 29. God the Father wishes Mary to be the mother of his children until the end of time and so he says to her, "Dwell in Jacob", that is to say, take up your abode permanently in my children, in my holy ones represented by Jacob, and not in the children of the devil and sinners represented by Esau. 30. Just as in natural and bodily generation there is a father and a mother, so in the supernatural and spiritual generation there is a father who is God and a mother who is Mary. All true children of God have God for their father and Mary for their mother; anyone who does not have Mary for his mother, does not have God for his father. This is why the reprobate, such as heretics and schismatics, who hate, despise or ignore the Blessed Virgin, do not have God for their father though they arrogantly claim they have, because they do not have Mary for their mother. Indeed if they had her for their mother they would love and honour her as good and true children naturally love and honour the mother who gave them life. An infallible and unmistakable sign by which we can distinguish a heretic, a man of false doctrine, an enemy of God, from one of God's true friends is that the heretic and the hardened sinner show nothing but contempt and indifference for our Lady. He endeavours by word and example, openly or insidiously - sometimes under specious pretexts - to belittle the love and veneration shown to her. God the Father has not told Mary to dwell in them because they are, alas, other Esaus. 31. God the Son wishes to form himself, and, in a manner of speaking, become incarnate every day in his members through his dear Mother. To her he said: "Take Israel for your inheritance." It is as if he said, God the Father has given me as heritage all the nations of the earth, all men good and evil, predestinate and reprobate. To the good I shall be father and advocate, to the bad a just avenger, but to all I shall be a judge. But you, my dear Mother, will have for your heritage and possession only the predestinate represented by Israel. As their loving mother, you will give them birth, feed them and rear them. As their queen, you will lead, govern and defend them. 32. "This one and that one were born in her." According to the explanation of some of the Fathers, the first man born of Mary is the God-man, Jesus Christ. If Jesus Christ, the head of mankind, is born of her, the predestinate, who are members of this head, must also as a necessary consequence be born of her. One and the same mother does not give birth to the head without the members nor to the members without the head, for these would be monsters in the order of nature. In the order of grace likewise the head and the members are born of the same mother. If a member of the mystical body of Christ, that is, one of the predestinate, were born of a mother other than Mary who gave birth to the head, he would not be one of the predestinate, nor a member of Jesus Christ, but a monster in the order of grace. 33. Moreover, Jesus is still as much as ever the fruit of Mary, as heaven and earth repeat thousands of times a day: "Blessed is the fruit of thy womb, Jesus." It is therefore certain that Jesus is the fruit and gift of Mary for every single man who possesses him, just as truly as he is for all mankind. Consequently, if any of the faithful have Jesus formed in their heart they can boldly say, "It is thanks to Mary that what I possess is Jesus her fruit, and without her I would not have him." We can attribute more truly to her what Saint Paul said of himself, "I am in labour again with all the children of God until Jesus Christ, my Son, is formed in them to the fullness of his age." Saint Augustine, surpassing himself as well as all that I have said so far, affirms that in order to be conformed to the image of the Son of God all the predestinate, while in the world, are hidden in the womb of the Blessed Virgin where they are protected, nourished, cared for and developed by this good Mother, until the day she brings them forth to a life of glory after death, which the Church calls the birthday of the just. This is indeed a mystery of grace unknown to the reprobate and little known even to the predestinate! 34. God the Holy Spirit wishes to fashion his chosen ones in and through Mary. He tells her, "My well-beloved, my spouse, let all your virtues take root in my chosen ones that they may grow from strength to strength and from grace to grace. When you were living on earth, practising the most sublime virtues, I was so pleased with you that I still desire to find you on earth without your ceasing to be in heaven. Reproduce yourself then in my chosen ones, so that I may have the joy of seeing in them the roots of your invincible faith, profound humility, total mortification, sublime prayer, ardent charity, your firm hope and all your virtues. You are always my spouse, as faithful, pure, and fruitful as ever. May your faith give me believers; your purity, virgins; your fruitfulness, elect and living temples." Outwardly destitute, inwardly they were full of grace and divine consolation. Strangers to the world, they were close and intimate friends of God. To themselves they seemed as nothing, and they were despised by the world, but in the eyes of God they were precious and beloved. They lived in true humility and simple obedience; they walked in charity and patience, making progress daily on the pathway of spiritual life and obtaining great favor with God. They were given as an example for all religious, and their power to stimulate us to perfection ought to be greater than that of the lukewarm to tempt us to laxity. How great was the fervor of all religious in the beginning of their holy institution! How great their devotion in prayer and their rivalry for virtue! What splendid discipline flourished among them! What great reverence and obedience in all things under the rule of a superior! The footsteps they left behind still bear witness that they indeed were holy and perfect men who fought bravely and conquered the world. "35. When Mary has taken root in a soul she produces in it wonders of grace which only she can produce; for she alone is the fruitful virgin who never had and never will have her equal in purity and fruitfulness. Together with the Holy Spirit Mary produced the greatest thing that ever was or ever will be: a God-man. She will consequently produce the marvels which will be seen in the latter times. The formation and the education of the great saints who will come at the end of the world are reserved to her, for only this singular and wondrous virgin can produce in union with the Holy Spirit singular and wondrous things. 36. When the Holy Spirit, her spouse, finds Mary in a soul, he hastens there and enters fully into it. He gives himself generously to that soul according to the place it has given to his spouse. One of the main reasons why the Holy Spirit does not work striking wonders in souls is that he fails to find in them a sufficiently close union with his faithful and inseparable spouse. 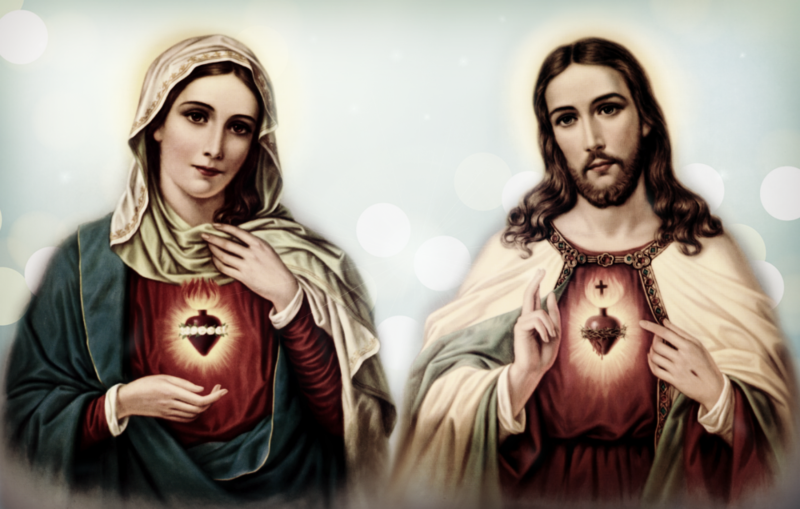 I say "inseparable spouse", for from the moment the substantial love of the Father and the Son espoused Mary to form Jesus, the head of the elect, and Jesus in the elect, he has never disowned her, for she has always been faithful and fruitful. First, that Mary received from God a far-reaching dominion over the souls of the elect. Otherwise she could not make her dwelling-place in them as God the Father has ordered her to do, and she could not conceive them, nourish them, and bring them forth to eternal life as their mother. She could not have them for her inheritance and her possession and form them in Jesus and Jesus in them. She could not implant in their heart the roots of her virtues, nor be the inseparable associate of the Holy Spirit in all these works of grace. None of these things, I repeat, could she do unless she had received from the Almighty rights and authority over their souls. For God, having given her power over his only-begotten and natural Son, also gave her power over his adopted children - not only in what concerns their body - which would be of little account - but also in what concerns their soul. 38. Mary is the Queen of heaven and earth by grace as Jesus is king by nature and by conquest. But as the kingdom of Jesus Christ exists primarily in the heart or interior of man, according to the words of the Gospel, "The kingdom of God is within you", so the kingdom of the Blessed Virgin is principally in the interior of man, that is, in his soul. It is principally in souls that she is glorified with her Son more than in any visible creature. So we may call her, as the saints do, Queen of our hearts. 39. Secondly, we must conclude that, being necessary to God by a necessity which is called "hypothetical", (that is, because God so willed it), the Blessed Virgin is all the more necessary for men to attain their final end. Consequently we must not place devotion to her on the same level as devotion to the other saints as if it were merely something optional. 40. The pious and learned Jesuit, Suarez, Justus Lipsius, a devout and erudite theologian of Louvain, and many others have proved incontestably that devotion to our Blessed Lady is necessary to attain salvation. This they show from the teaching of the Fathers, notably St. Augustine, St. Ephrem, deacon of Edessa, St. Cyril of Jerusalem, St. Germanus of Constantinople, St. John Demascene, St. Anselm, St. Bernard, St. Bernardine, St. Thomas and St. Bonaventure. Even according to Oecolampadius and other heretics, lack of esteem and love for the Virgin Mary is an infallible sign of God's disapproval. On the other hand, to be entirely and genuinely devoted to her is a sure sign of God's approval. 41. The types and texts of the Old and New Testaments prove the truth of this, the opinions and examples of the saints confirm it, and reason and experience teach and demonstrate it. Even the devil and his followers, forced by the evidence of the truth, were frequently obliged against their will to admit it. For brevity's sake, I shall quote one only of the many passages which I have collected from the Fathers and Doctors of the Church to support this truth. "Devotion to you, O Blessed Virgin, is a means of salvation which God gives to those whom he wishes to save" (St. John Damascene). So long as we live in this world we cannot escape suffering and temptation. Whence it is written in Job: "The life of man upon earth is a warfare." Everyone, therefore, must guard against temptation and must watch in prayer lest the devil, who never sleeps but goes about seeking whom he may devour, find occasion to deceive him. No one is so perfect or so holy but he is sometimes tempted; man cannot be altogether free from temptation. Yet temptations, though troublesome and severe, are often useful to a man, for in them he is humbled, purified, and instructed. The saints all passed through many temptations and trials to profit by them, while those who could not resist became reprobate and fell away. There is no state so holy, no place so secret that temptations and trials will not come. Man is never safe from them as long as he lives, for they come from within us -- in sin we were born. When one temptation or trial passes, another comes; we shall always have something to suffer because we have lost the state of original blessedness. The beginning of all temptation lies in a wavering mind and little trust in God, for as a rudderless ship is driven hither and yon by waves, so a careless and irresolute man is tempted in many ways. 42. I could tell many stories in evidence of what I have just said. (1) One is recorded in the chronicles of St. Francis. The saint saw in ecstasy an immense ladder reaching to heaven, at the top of which stood the Blessed Virgin. This is the ladder, he was told, by which we must all go to heaven. (2) There is another related in the Chronicles of St. Dominic. Near Carcassonne, where St. Dominic was preaching the Rosary, there was an unfortunate heretic who was possessed by a multitude of devils. These evil spirits to their confusion were compelled at the command of our Lady to confess many great and consoling truths concerning devotion to her. They did this so clearly and forcibly that, however weak our devotion to our Lady may be, we cannot read this authentic story containing such an unwilling tribute paid by the devils to devotion to our Lady without shedding tears of joy. 43. If devotion to the Blessed Virgin is necessary for all men simply to work out their salvation, it is even more necessary for those who are called to a special perfection. I do not believe that anyone can acquire intimate union with our Lord and perfect fidelity to the Holy Spirit without a very close union with the most Blessed Virgin and an absolute dependence on her support. 44. Mary alone found grace before God without the help of any other creature. All those who have since found grace before God have found it only through her. She was full of grace when she was greeted by the Archangel Gabriel and was filled with grace to overflowing by the Holy Spirit when he so mysteriously overshadowed her. From day to day, from moment to moment, she increased so much this twofold plenitude that she attained an immense and inconceivable degree of grace. So much so, that the Almighty made her the sole custodian of his treasures and the sole dispenser of his graces. She can now ennoble, exalt and enrich all she chooses. She can lead them along the narrow path to heaven and guide them through the narrow gate to life. She can give a royal throne, sceptre and crown to whom she wishes. Jesus is always and everywhere the fruit and Son of Mary and Mary is everywhere the genuine tree that bears that Fruit of life, the true Mother who bears that Son. 45. To Mary alone God gave the keys of the cellars of divine love and the ability to enter the most sublime and secret ways of perfection, and lead others along them. Mary alone gives to the unfortunate children of unfaithful Eve entry into that earthly paradise where they may walk pleasantly with God and be safely hidden from their enemies. There they can feed without fear of death on the delicious fruit of the tree of life and the tree of the knowledge of good and evil. They can drink copiously the heavenly waters of that beauteous fountain which gushes forth in such abundance. As she is herself the earthly paradise, that virgin and blessed land from which sinful Adam and Eve were expelled she lets only those whom she chooses enter her domain in order to make them saints. 46. All the rich among the people, to use an expression of the Holy Spirit as explained by St. Bernard, all the rich among the people will look pleadingly upon her countenance throughout all ages and particularly as the world draws to its end. This means that the greatest saints, those richest in grace and virtue will be the most assiduous in praying to the most Blessed Virgin, looking up to her as the perfect model to imitate and as a powerful helper to assist them. 47. I said that this will happen especially towards the end of the world, and indeed soon, because Almighty God and his holy Mother are to raise up great saints who will surpass in holiness most other saints as much as the cedars of Lebanon tower above little shrubs. This has been revealed to a holy soul whose life has been written by M. de Renty. 48. These great souls filled with grace and zeal will be chosen to oppose the enemies of God who are raging on all sides. They will be exceptionally devoted to the Blessed Virgin. Illumined by her light, strengthened by her food, guided by her spirit, supported by her arm, sheltered under her protection, they will fight with one hand and build with the other. With one hand they will give battle, overthrowing and crushing heretics and their heresies, schismatics and their schisms, idolaters and their idolatries, sinners and their wickedness. With the other hand they will build the temple of the true Solomon and the mystical city of God, namely, the Blessed Virgin, who is called by the Fathers of the Church the Temple of Solomon and the City of God . By word and example they will draw all men to a true devotion to her and though this will make many enemies, it will also bring about many victories and much glory to God alone. This is what God revealed to St. Vincent Ferrer, that outstanding apostle of his day, as he has amply shown in one of his works. This seems to have been foretold by the Holy Spirit in Psalm 58: "The Lord will reign in Jacob and all the ends of the earth. They will be converted towards evening and they will be as hungry as dogs and they will go around the city to find something to eat." This city around which men will roam at the end of the world seeking conversion and the appeasement of the hunger they have for justice is the most Blessed Virgin, who is called by the Holy Spirit the City of God. Now again I will speak, Lord, and will not be silent. I will speak to the hearing of my God, my Lord, and my King Who is in heaven. How great, O Lord, is the multitude of Your mercies which You have stored up for those who love You. But what are You to those who love You? What are You to those who serve You with their whole heart? Truly beyond the power of words is the sweetness of contemplation You give to those who love You. To me You have shown the sweetness of Your charity, especially in having made me when I did not exist, in having brought me back to serve You when I had gone far astray from You, in having commanded me to love You. O Fountain of unceasing love, what shall I say of You? How can I forget You, Who have been pleased to remember me even after I had wasted away and perished? You have shown mercy to Your servant beyond all hope, and have exhibited grace and friendship beyond his deserving. What return shall I make to You for this grace? For it is not given every man to forsake all things, to renounce the world, and undertake the religious life. Is it anything great that I should serve You Whom every creature is bound to serve? It should not seem much to me; instead it should appear great and wonderful that You condescend to receive into Your service one who is so poor and unworthy. It is a great honor, a great glory to serve You and to despise all things for Your sake. They who give themselves gladly to Your most holy service will possess great grace. They who cast aside all carnal delights for Your love will find the most sweet consolation of the Holy Ghost. 54. God has established not just one enmity but "enmities", and not only between Mary and Satan but between her race and his race. That is, God has put enmities, antipathies and hatreds between the true children and servants of the Blessed Virgin and the children and slaves of the devil. They have no love and no sympathy for each other. The children of Belial, the slaves of Satan, the friends of the world, - for they are all one and the same - have always persecuted and will persecute more than ever in the future those who belong to the Blessed Virgin, just as Cain of old persecuted his brother Abel, and Esau his brother Jacob. These are the types of the wicked and of the just. But the humble Mary will always triumph over Satan, the proud one, and so great will be her victory that she will crush his head, the very seat of his pride. She will unmask his serpent's cunning and expose his wicked plots. She will scatter to the winds his devilish plans and to the end of time will keep her faithful servants safe from his cruel claws. "Trust thou in the Lord and do good," says the Prophet; "dwell in the land and thou shalt feed on its riches." There is one thing that keeps many from zealously improving their lives, that is, dread of the difficulty, the toil of battle. Certainly they who try bravely to overcome the most difficult and unpleasant obstacles far outstrip others in the pursuit of virtue. A man makes the most progress and merits the most grace precisely in those matters wherein he gains the greatest victories over self and most mortifies his will. True, each one has his own difficulties to meet and conquer, but a diligent and sincere man will make greater progress even though he have more passions than one who is more even-tempered but less concerned about virtue. 56. But what will they be like, these servants, these slaves, these children of Mary? 59. Lastly, we know they will be true disciples of Jesus Christ, imitating his poverty, his humility, his contempt of the world and his love. They will point out the narrow way to God in pure truth according to the holy Gospel, and not according to the maxims of the world. Their hearts will not be troubled, nor will they show favour to anyone; they will not spare or heed or fear any man, however powerful he may be. They will have the two-edged sword of the word of God in their mouths and the blood-stained standard of the Cross on their shoulders. They will carry the crucifix in their right hand and the rosary in their left, and the holy names of Jesus and Mary on their heart. The simplicity and self-sacrifice of Jesus will be reflected in their whole behaviour. Such are the great men who are to come. By the will of God Mary is to prepare them to extend his rule over the impious and unbelievers. But when and how will this come about? Only God knows. For our part we must yearn and wait for it in silence and in prayer: "I have waited and waited." The religious who concerns himself intently and devoutly with our Lord's most holy life and passion will find there an abundance of all things useful and necessary for him. He need not seek for anything better than Jesus. If the Crucified should come to our hearts, how quickly and abundantly we would learn! "St. Montfort True Devotion to Mary (continued)"
60. Having spoken briefly of the necessity of devotion to the Blessed Virgin, I must now explain what this devotion consists in. This I will do with God's help after I have laid down certain basic truths which throw light on the remarkable and sound devotion which I propose to unfold. 61. Jesus, our Saviour, true God and true man must be the ultimate end of all our other devotions; otherwise they would be false and misleading. He is the Alpha and the Omega, the beginning and end of everything. "We labour," says St. Paul, "only to make all men perfect in Jesus Christ." For in him alone dwells the entire fullness of the divinity and the complete fullness of grace, virtue and perfection. In him alone we have been blessed with every spiritual blessing; he is the only teacher from whom we must learn; the only Lord on whom we should depend; the only Head to whom we should be united and the only model that we should imitate. He is the only Physician that can heal us; the only Shepherd that can feed us; the only Way that can lead us; the only Truth that we can believe; the only Life that can animate us. He alone is everything to us and he alone can satisfy all our desires. We are given no other name under heaven by which we can be saved. God has laid no other foundation for our salvation, perfection and glory than Jesus. Every edifice which is not built on that firm rock, is founded upon shifting sands and will certainly fall sooner or later. Every one of the faithful who is not united to him is like a branch broken from the stem of the vine. It falls and withers and is fit only to be burnt. If we live in Jesus and Jesus lives in us, we need not fear damnation. Neither angels in heaven nor men on earth, nor devils in hell, no creature whatever can harm us, for no creature can separate us from the love of God which is in Christ Jesus. Through him, with him and in him, we can do all things and render all honour and glory to the Father in the unity of the Holy Spirit; we can make ourselves perfect and be for our neighbour a fragrance of eternal life. 63. Here I turn to you for a moment, dear Jesus, to complain lovingly to your divine Majesty that the majority of Christians, and even some of the most learned among them, do not recognise the necessary bond that unites you and your Blessed Mother. Lord, you are always with Mary and Mary is always with you. She can never be without you because then she would cease to be what she is. She is so completely transformed into you by grace that she no longer lives, she no longer exists, because you alone, dear Jesus, live and reign in her more perfectly than in all the angels and saints. If we only knew the glory and the love given to you by this wonderful creature, our feelings for you and for her would be far different from those we have now. So intimately is she united to you that it would be easier to separate light from the sun, and heat from the fire. I go further, it would even be easier to separate all the angels and saints from you than Mary; for she loves you ardently, and glorifies you more perfectly than all your other creatures put together. 64. In view of this, my dear Master, is it not astonishing and pitiful to see the ignorance and short-sightedness of men with regard to your holy Mother? I am not speaking so much of idolaters and pagans who do not know you and consequently have no knowledge of her. I am not even speaking of heretics and schismatics who have left you and your holy Church and therefore are not interested in your holy Mother. I am speaking of Catholics, and even of educated Catholics, who profess to teach the faith to others but do not know you or your Mother except speculatively, in a dry, cold and sterile way. These people seldom speak of your Mother or devotion to her. They say they are afraid that devotion to her will be abused and that you will be offended by excessive honour paid to her. They protest loudly when they see or hear a devout servant of Mary speak frequently with feeling, conviction and vigour of devotion to her. When he speaks of devotion to her as a sure means of finding and loving you without fear or illusion, or when he says this devotion is a short road free from danger, or an immaculate way free from imperfection, or a wondrous secret of finding you, they put before him a thousand specious reasons to show him how wrong he is to speak so much of Mary. There are, they say, great abuses in this devotion which we should try to stamp out and we should refer people to you rather than exhort them to have devotion to your Mother, whom they already love adequately. If they are sometimes heard speaking of devotion to your Mother, it is not for the purpose of promoting it or convincing people of it but only to destroy the abuses made of it. Yet all the while these persons are devoid of piety or genuine devotion to you, for they have no devotion to Mary. They consider the Rosary and the Scapular as devotions suitable only for simple women or ignorant people. After all, they say, we do not need them to be saved. If they come across one who loves our Lady, who says the rosary or shows any devotion towards her, they soon move him to a change of mind and heart. They advise him to say the seven penitential psalms instead of the Rosary, and to show devotion to Jesus instead of to Mary. Dear Jesus, do these people possess your spirit? Do they please you by acting in this way? Would it please you if we were to make no effort to give pleasure to your Mother because we are afraid of offending you? Does devotion to your holy Mother hinder devotion to you? Does Mary keep for herself any honour we pay her? Is she a rival of yours? Is she a stranger having no kinship with you? Does pleasing her imply displeasing you? Does the gift of oneself to her constitute a deprivation for you? Is love for her a lessening of our love for you? "65. Nevertheless, my dear Master, the majority of learned scholars could not be further from devotion to your Mother, or show more indifference to it even if all I have just said were true. Keep me from their way of thinking and acting and let me share your feelings of gratitude, esteem, respect and love for your holy Mother. I can then love and glorify you all the more, because I will be imitating and following you more closely. 66. As though I had said nothing so far to further her honour, grant me now the grace to praise her more worthily, in spite of all her enemies who are also yours. I can then say to them boldly with the saints, "Let no one presume to expect mercy from God, who offends his holy Mother." 67. So that I may obtain from your mercy a genuine devotion to your blessed Mother and spread it throughout the whole world, help me to love you wholeheartedly, and for this intention accept the earnest prayer I offer with St. Augustine and all who truly love you. O Jesus Christ, you are my Father, my merciful God, my great King, my good Shepherd, my only Master, my best helper, my beloved friend of overwhelming beauty, my living Bread, my eternal priest. You are my guide to my heavenly home, my one true light, my holy joy, my true way, my shining wisdom, my unfeigned simplicity, the peace and harmony of my soul, my perfect safeguard, my bounteous inheritance, my everlasting salvation. My loving Lord, Jesus Christ, why have I ever loved or desired anything else in my life but you, my God? Where was I when I was not in communion with you? From now on, I direct all my desires to be inspired by you and centred on you. I direct them to press forward for they have tarried long enough, to hasten towards their goal, to seek the one they yearn for. O Jesus, let him who does not love you be accursed, and filled with bitterness. O gentle Jesus, let every worthy feeling of mine show you love, take delight in you and admire you. O God of my heart and my inheritance, Christ Jesus, may my heart mellow before the influence of your spirit and may you live in me. May the flame of your love burn in my soul. May it burn incessantly on the altar of my heart. May it glow in my innermost being. May it spread its heat into the hidden recesses of my soul and on the day of my consummation may I appear before you consumed in your love. Amen. 68. From what Jesus Christ is in regard to us we must conclude, as St. Paul says, that we belong not to ourselves but entirely to him as his members and his slaves, for he bought us at an infinite price - the shedding of his Precious Blood. Before baptism, we belonged to the devil as slaves, but baptism made us in very truth slaves of Jesus. We must therefore live, work and die for the sole purpose of bringing forth fruit for him, glorifying him in our body and letting him reign in our soul. We are his conquest, the people he has won, his heritage. It is for this reason that the Holy Spirit compares us: 1) to trees that are planted along the waters of grace in the field of the Church and which must bear their fruit when the time comes; 2) to branches of the vine of which Jesus is the stem, which must yield good grapes; 3) to a flock of sheep of which Jesus is the Shepherd, which must increase and give milk; 4) to good soil cultivated by God, where the seed will spread and produce crops up to thirty-fold, sixty-fold, or a hundred-fold. Our Lord cursed the barren fig-tree and condemned the slothful servant who wasted his talent. All this proves that he wishes to receive some fruit from our wretched selves, namely, our good works, which by right belong to him alone, "created in Jesus Christ for good works". These words of the Holy Spirit show that Jesus is the sole source and must be the sole end of all our good works, and that we must serve him not just as paid servants but as slaves of love. Let me explain what I mean. 69. There are two ways of belonging to another person and being subject to his authority. One is by ordinary service and the other is by slavery. And so we must use the terms "servant" and "slave". Ordinary service in Christian countries is when a man is employed to serve another for a certain length of time at a wage which is fixed or agreed upon. When a man is totally dependent on another for life, and must serve his master without expecting any wages or recompense, when he is treated just like a beast of the field over which the owner has the right of life and death, then it is slavery. 70. Now there are three kinds of slavery; natural slavery, enforced slavery, and voluntary slavery. All creatures are slaves of God in the first sense, for "the earth and its fullness belong to the Lord". The devils and the damned are slaves in the second sense. The saints in heaven and the just on earth are slaves in the third sense. Voluntary slavery is the most perfect of all three states, for by it we give the greatest glory to God, who looks into the heart and wants it to be given to him. Is he not indeed called the God of the heart or of the loving will? For by this slavery we freely choose God and his service before all things, even if we were not by our very nature obliged to do so. " My child, he who attempts to escape obeying withdraws himself from grace. Likewise he who seeks private benefits for himself loses those which are common to all. He who does not submit himself freely and willingly to his superior, shows that his flesh is not yet perfectly obedient but that it often rebels and murmurs against him. Learn quickly, then, to submit yourself to your superior if you wish to conquer your own flesh. For the exterior enemy is more quickly overcome if the inner man is not laid waste. There is no more troublesome, no worse enemy of the soul than you yourself, if you are not in harmony with the spirit. It is absolutely necessary that you conceive a true contempt for yourself if you wish to be victorious over flesh and blood. Because you still love yourself too inordinately, you are afraid to resign yourself wholly to the will of others. Is it such a great matter if you, who are but dust and nothingness, subject yourself to man for the sake of God, when I, the All-Powerful, the Most High, Who created all things out of nothing, humbly subjected Myself to man for your sake? I became the most humble and the lowest of all men that you might overcome your pride with My humility. Learn to obey, you who are but dust! Learn to humble yourself, you who are but earth and clay, and bow down under the foot of every man! Learn to break your own will, to submit to all subjection! "71. There is a world of difference between a servant and a slave. 1) A servant does not give his employer all he is, all he has, and all he can acquire by himself or through others. A slave, however, gives himself to his master completely and exclusively with all he has and all he can acquire. 2) A servant demands wages for the services rendered to his employer. A slave, on the other hand, can expect nothing, no matter what skill, attention or energy he may have put into his work. 3) A servant can leave his employer whenever he pleases, or at least when the term of his service expires, whereas the slave has no such right. 4) An employer has no right of life and death over a servant. Were he to kill him as he would a beast of burden, he would commit murder. But the master of a slave has by law the right of life and death over him, so that he can sell him to anyone he chooses or - if you will pardon the comparison - kill him as he would kill his horse. 5) Finally, a servant is in his employer's service only for a time; a slave for always. 72. No other human state involves belonging more completely to another than slavery. Among Christian peoples, nothing makes a person belong more completely to Jesus and his holy Mother than voluntary slavery. Our Lord himself gave us the example of this when out of love for us he "took the form of a slave". Our Lady gave us the same example when she called herself the handmaid or slave of the Lord. The Apostle considered it an honour to be called "slave of Christ". Several times in Holy Scripture, Christians are referred to as "slaves of Christ". The Latin word "servus" at one time signified only a slave because servants as we know them did not exist. Masters were served either by slaves or by freedmen. The Catechism of the Council of Trent leaves no doubt about our being slaves of Jesus Christ, using the unequivocal term "Mancipia Christi", which plainly means: slaves of Christ. 73. Granting this, I say that we must belong to Jesus and serve him not just as hired servants but as willing slaves who, moved by generous love, commit themselves to his service after the manner of slaves for the honour of belonging to him. Before we were baptised we were the slaves of the devil, but baptism made us the slaves of Jesus. Christians can only be slaves of the devil or slaves of Christ. 74. What I say in an absolute sense of our Lord, I say in a relative sense of our Blessed Lady. Jesus, in choosing her as his inseparable associate in his life, glory and power in heaven and on earth, has given her by grace in his kingdom all the same rights and privileges that he possesses by nature. "All that belongs to God by nature belongs to Mary by grace", say the saints, and, according to them, just as Jesus and Mary have the same will and the same power, they have also the same subjects, servants and slaves. 75. Following therefore the teaching of the saints and of many great men we can call ourselves, and become, the loving slaves of our Blessed Lady in order to become more perfect slaves of Jesus. Mary is the means our Lord chose to come to us and she is also the means we should choose to go to him, for she is not like other creatures who tend rather to lead us away from God than towards him, if we are over-attached to them. Mary's strongest inclination is to unite us to Jesus, her Son, and her Son's strongest wish is that we come to him through his Blessed Mother. He is pleased and honoured just as a king would be pleased and honoured if a citizen, wanting to become a better subject and slave of the king, made himself the slave of the queen. That is why the Fathers of the Church, and St. Bonaventure after them, assert that the Blessed Virgin is the way which leads to our Lord. 76. Moreover, if, as I have said, the Blessed Virgin is the Queen and Sovereign of heaven and earth, does she not then have as many subjects and slaves as there are creatures? "All things, including Mary herself, are subject to the power of God. All things, God included, are subject to the Virgin's power", so we are told by St. Anselm, St. Bernard, St. Bernardine and St. Bonaventure. Is it not reasonable to find that among so many slaves there should be some slaves of love, who freely choose Mary as their Queen? Should men and demons have willing slaves, and Mary have none? A king makes it a point of honour that the queen, his consort, should have her own slaves, over whom she has right of life and death, for honour and power given to the queen is honour and power given to the king. Could we possibly believe that Jesus, the best of all sons, who shared his power with his Blessed Mother, would resent her having her own slaves? Has he less esteem and love for his Mother than Ahasuerus had for Esther, or Solomon for Bathsheba? Who could say or even think such a thing? 77. But where is my pen leading me? Why am I wasting my time proving something so obvious? If people are unwilling to call themselves slaves of Mary, what does it matter? Let them become and call themselves slaves of Jesus Christ, for this is the same as being slaves of Mary, since Jesus is the fruit and glory of Mary. This is what we do perfectly in the devotion we shall discuss later. " At that very time there were some present who told him about the Galileans whose blood Pilate had mingled with their sacrifices. He asked them, “Do you think that because these Galileans suffered in this way they were worse sinners than all other Galileans? No, I tell you; but unless you repent, you will all perish as they did. Or those eighteen who were killed when the tower of Siloam fell on them—do you think that they were worse offenders than all the others living in Jerusalem? No, I tell you; but unless you repent, you will all perish just as they did." Secondly, in order to empty ourselves of ourselves, we must die to ourselves daily. That is to say, we must renounce the operations of the powers of our soul, and of the senses of our body. We must see as if we saw not, understand as if we understood not, and make use of the things of this world as if we made no use of them at all. This is what St. Paul calls dying daily—Quotidie morior. If the grain of corn falling on the earth does not die, it remains earth, and brings forth no good fruit. Nisi granum frumenti, cadens in terram, mortuum fuerit, ipsum solum manet. If we die not to ourselves, and if our holiest devotions do not incline us to this necessary and useful death, we shall bring forth no fruit worth anything, and our devotions will become useless. All our justices will be stained by self-love and our own will; and this will cause God to hold in abomination the greatest sacrifices we can make, and the best actions we can do; so that at our death we shall find our hands empty of virtues and of merits, and we shall not have one spark of pure love, which is only communicated to souls dead to themselves, souls whose life is hidden with Jesus Christ in God. We must choose, therefore, among all the devotions to the Blessed Virgin, the one which draws us most towards this death to ourselves, inasmuch as it will be the best and the most sanctifying.